This statement from St. Paul to Timothy (2 Timothy 4:8) reminds us of our ultimate longing and destiny. We all long for right relationships — to live in harmony with others — and we all desire to see the face of God, that face which ultimately radiates from the face of Jesus Christ, through whom we are able to see the Father. It is, in fact, our destiny to behold this face in all its heavenly glory! But, we don’t behold this face as we should now because the darkness of sin has clouded our vision. That sin which puffs-up our eyes and has us pray as the Pharisee in the Gospel: I thank myself (ultimately) for my righteousness, for “I am not like the rest of humanity . . . I fast . . . I pay tithes.” I’m good, I do, I give — I, I, I. Did I forget anything? Oh, yeah, what about this tax collector? Look at him; he doesn’t deserve the same that I’ve earned. 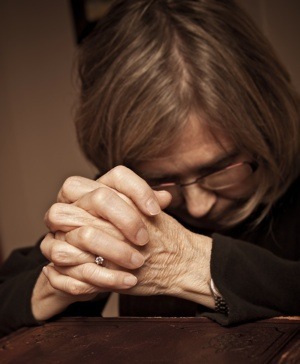 Surely this sincere and contrite “lowly” prayer “pierces the clouds” of sin’s darkness and has our “petition [reach] the heavens.” For “the Lord hears the cry of the poor,” especially those poor in spirit — those who have humbly acknowledged their place before God as dependent creatures — whose kingdom is heaven (cf. Matthew 5:3). Instead of placing our eyes on our “I” — our ego — (like the Pharisee), when in prayer, we are to place them on our Lord (like the tax collector) and ask for his merciful forgiveness so that, in the end, he would “[lift] up the lowly,” as Our Lady so beautifully proclaims and rejoices in her Magnificat (see Luke 1:46-55), and bring us out of our darkness and into our heavenly home justified to behold his luminous face. Who knew all this was going on at the beginning of the Eucharist?! Deacon Gerlach is in formation for the priesthood at St. Paul Seminary for the Diocese of Rapid City, S.D. His home parish is the Cathedral of Our Lady of Perpetual Help in Rapid City, and his teaching parish is St. Ambrose of Woodbury in Woodbury. During your prayer time this week, what one thing can you do to focus less on yourself and more keenly on the face of Christ and his will for you?